Looking forward to the next couple days, maybe even weeks I see several opportunities for excellent trout fishing. Several days with relatively low wind and air temps climbing up into the low 30’s and possibly the low 40’s. I’ll be getting to the creek around 10am and checking the water temp immediately on arrival. Remember the snow melt that we hope will be gradual may have the effect of cooling the creeks down by a degree or two. You’ll want to get a baseline on arrival so you can compare as the morning to afternoon progresses. 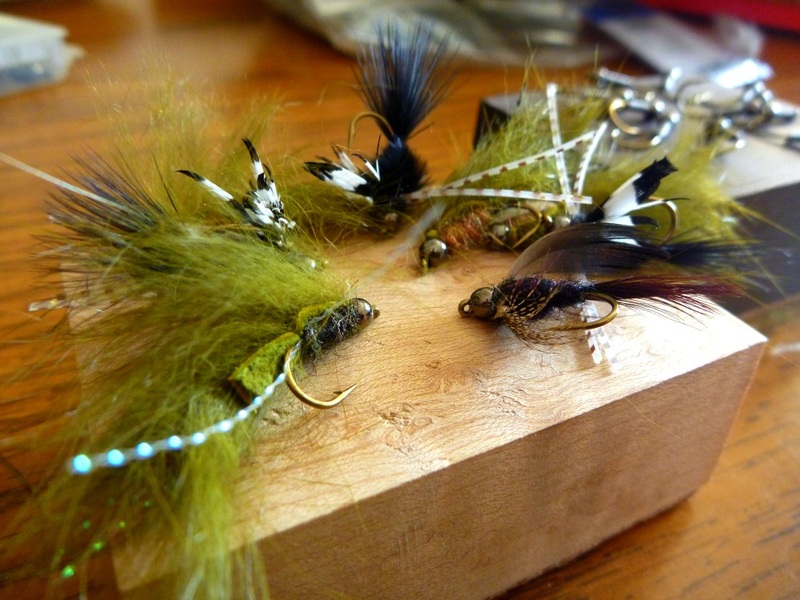 The next thing I’m going to do is decide between fishing a nymph or a streamer (unless the trout are already rising). 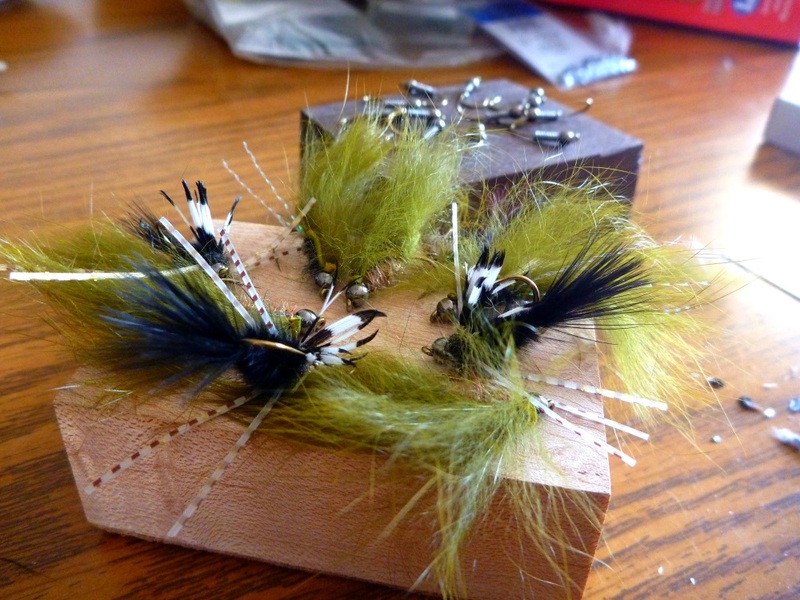 With the idea that I might want a few more lighter, smaller mini-streamers that can be presented a bit more delicately when needed I decided to tie up a couple dozen flies that will do the job. If I need them to sink a bit more quickly I can always add a splitshot to the mix, this allows me to quickly present these flies to trout in riffles, runs, pocket water and with minimal effort and time able to sink them quickly in deep holes. When it comes to experimenting with something new I typically stick to a couple schools of thought. Natural colors work well. 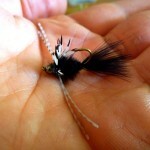 Flash is ok but not needed all the time and having flies that are “bare bones” will fish well when the water is clear. Black is always good. Movement is always good, and perhaps the most important thought I stick to is the one played out on the creek. Confidence and presentation catch trout, not the fly. Sure the fly can be more or less successful depending on the situation, ie: if trout are rising to BWO’s your probably going to catch more trout with a BWO dry fly or a baetis nymph imitation over a fat streamer but when the situation is as clearly spelled out for you just go with what you want to fish and fish it with confidence and fish it well. Make the first cast count and go slow taking advantage of each opportunity as you creep upstream. 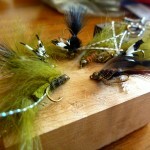 I’m sure I’ll be posting a few pictures of fish with these flies hanging out of their mouths soon. Hey JD! I’m glad someone else out there likes playing around at the vise. 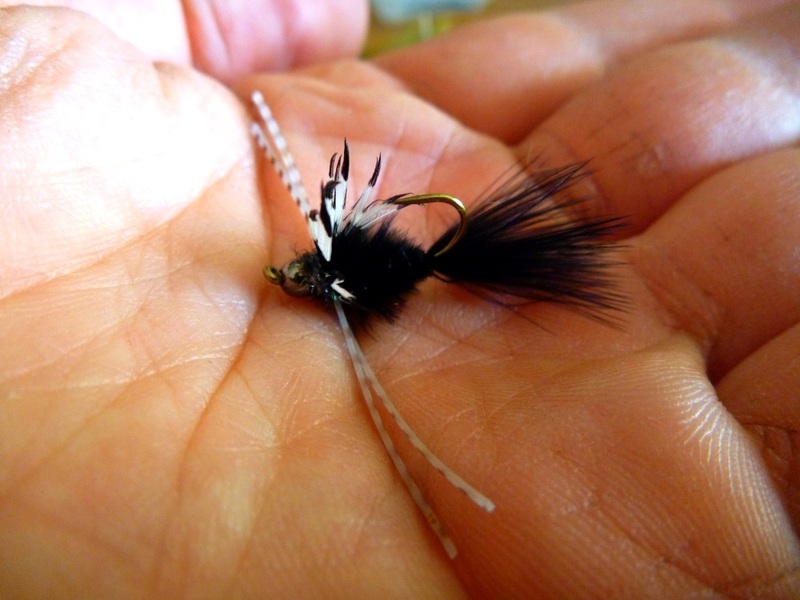 Turns out a few of these flies can take trout. 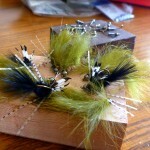 Half of the fun in tying is trying something different every once in a while. Thanks again.